Lycoming's offense was stalling. It's running game couldn't seem to find legs. The passing game was inconsistent. Enter Blake Bowman. 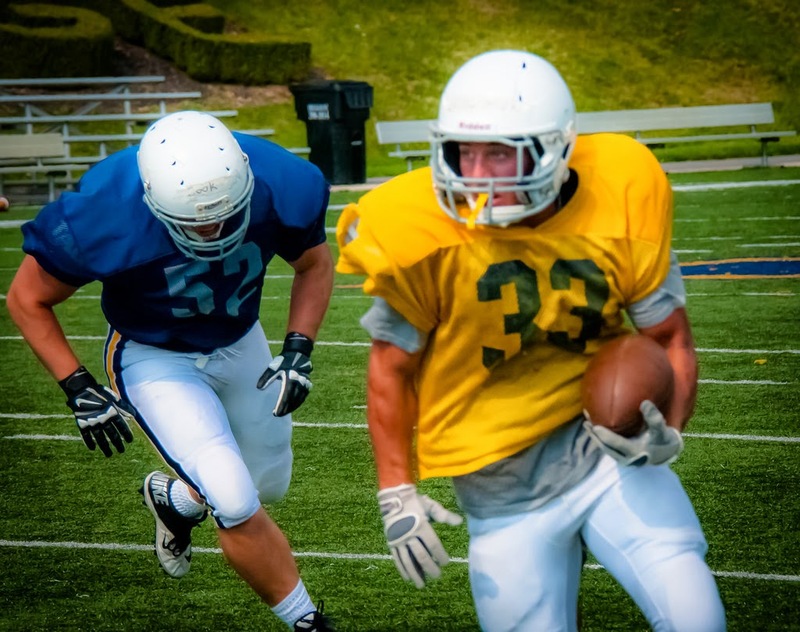 The sophomore tailback who is the second option behind starter Craig Needhammer took his turn in the backfield late in the first quarter Saturday, as head coach Mike Clark likes to rotate his backs to keep them fresh. Bowman was a spark the Warriors' offense needed to get going, not only running the ball, but in the passing game as well. He accounted for 37 of 80 yards the Warriors covered on their first scoring drive, a drive which was the springboard to a 28-point second quarter. Lycoming won its season-opening game against Susquehanna on Saturday at David Person Field, 42-13, and the spark Bowman provided was a big reason why. Lycoming head coach Mike Clark had one regret about Bowman's involvement in that drive, and it was that he didn't let the Tri-Valley product finish it with a touchdown run. Instead, he inserted Needhammer, who scored three touchdowns yesterday, to finish the drive with a 1-yard scoring run to give Lycoming a 7-0 lead. Needhammer even felt bad about taking the touchdown away from Bowman – who scored one touchdown a year ago. And when Kyle Sullivan returned an interception to the 2-yard later in the quarter, Needhammer told Clark to put in Bowman to get a touchdown which was rightfully his.